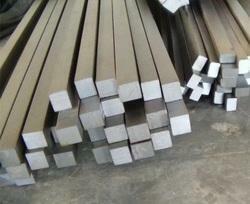 We carries an extensive inventory of Cupro Nickel Round Bar in both C70600 and C71500 (70/30). 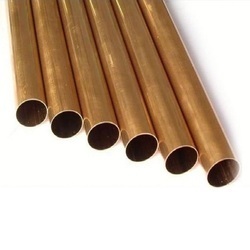 These copper alloys prove to have very good resistance to seawater, brine water, organic compounds, salts, diluted non-oxidizing acids, and more. Our inventory includes round bar, sheet, plate, tube, pipe, fittings, and flanges. 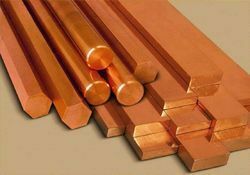 To compliment our wide variety of copper nickel based products, we provide material cut to your specifications on our precision plates saws, bar saws, shears, and water jets. Holding tolerance as close as +/- .005”, we can cut back on important aspects such as machining and time. Copper-nickel alloys (often referred to as cupro-nickels) offer moderate to high strength and excellent resistance to various waters, including seawater and form a protective surface film in such conditions. In addition they provide good anti-fouling properties and weldability. The precipitation hardenable copper nickels (DEF STAN 02-835 and ULTIBRON™-NB) possess high strength and are used as an alternative to the 90/10 and 70/30 alloys and other copper alloys such as nickel aluminium bronze in marine applications. Other useful attributes include low magnetic permeability, imperviousness to hydrogen embrittlement, no loss of impact strength down to minus 196°C and good jet impingement resistance. Applications for 90/10 and 70/30 alloys mainly involve tubes and tube plates in heat exchangers, including desalination and seawater piping systems. 70/30 alloy is also used for hose couplings, mechanical seals and pump shafts. Applications for the high strength cupro-nickels are varied and cover subsea bolting in Oil & Gas to hydraulic connectors and valve stems. Usage in Naval vessels is widespread, for example, for bolting, propeller shafts, sonar components and weapons handling equipment. Copper-nickel alloys are also finding new applications replacing beryllium-copper alloys due to environmental difficulties in their manufacturers. CN102 A 90/10 copper-nickel alloy with excellent sea water corrosion and erosion resistance due to small additions of iron and manganese. It finds many applications in marine engineering due to its moderate strength and ability to be hot and cold worked. It is easily welded and exhibits good resistance to stress corrosion. CN107 A 70/30 copper-nickel with small additions of iron and manganese to improve resistance to high velocity seawater. Higher strength and better corrosion resistance compared with 90/10 alloy but slightly reduced anti-fouling properties. Good hot and cold working properties. It is easily welded and exhibits good resistance to stress corrosion. NES 835 An advanced precipitation-hardenable copper-nickel with improved mechanical properties over 90/30 and 70/30 alloys and aluminium bronzes. 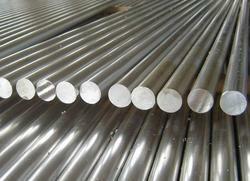 We are the leading manufacturers and suppliers of the Stainless Steel Round Bars 316TI. 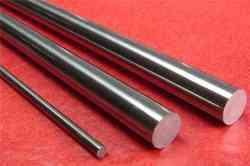 We are the leading manufacturers and suppliers of the Stainless Steel Round Bars 904L. 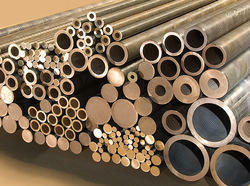 We are the leading manufacturers and suppliers of the Round Bar.